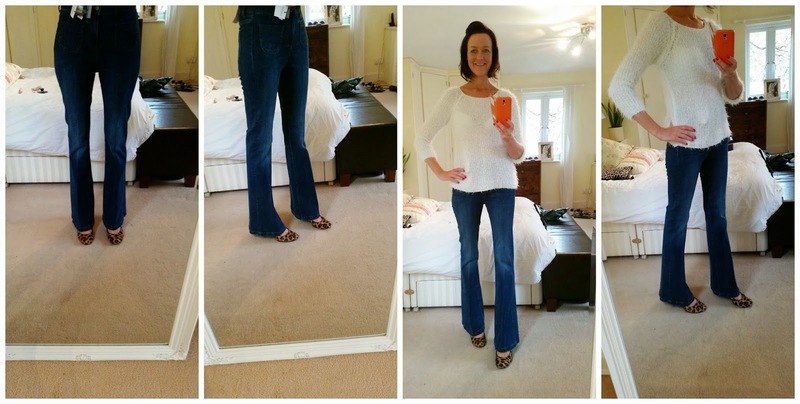 Michelle (from My Fashionable 40s) and Helen (from Fashion 40ish) look amazing in their flares. How is it that at 5ft 9 and a dress size 10, I look dumpy and wide?? I don't get it! And there is the end of this post, I have a sad face. I've stepped away already - they are not 'for me' and I shall not be wearing again - EVER!!!!! I agree with you about the boyf jeans - I really wanted these to work - LIKE REALLY REALLY REALLY but sadly not! I love mine but then I always have enjoyed wearing them in and out of fashion! I love them super skinny around the thighs! They felt super skinny to me!! I did have some but they were proper flares and really rather nasty! I wouldn't wear with a flat either - think I'm going to try a skinny bootcut! That's just mad, because yes! In theory they should work really well. I think it's because they're not tight enough around your thigh. Dear God ... I shudder to think what I'd look like, if they actually managed to make you look wide !! Some petite women look amazing though - Why do I look like this????? I wonder if it's the rounded shoes? Perhaps a pointy shoe/boot? I only buy things I can wear all year round/a lot - they're going back! Skinny jeans are back on! Oh my goodness, you definitely don't look dumpy!! But when you don't feel right in something, you don't feel right! 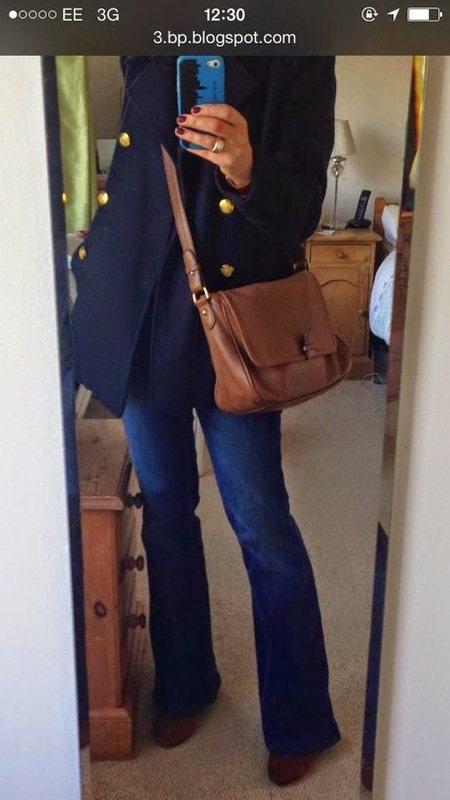 I love flares & as long as they are tight on my thighs & touching the floor, they slim down my substantial curves, lol. Okay, I have to put in my two cents and read everyone's comments after, but you DO NOT look dumpy and wide. Now I prefer you in skinnies, but these look really nice on you. Hand on heart! You are so sweet and kind - dumpy might have been a bit of a strong word but I do look shorter than usual! I have those and I had to take them home with me as in the changing room they were super flattering despite being super long. I've not tried them on since so I could have been having a delusional moment. I do think that for me personally, I will be going back to my tried and tested styles and just have the odd fling with the whole flare business. They need much more work. And walking in heels I constitute as work. I bet you make them look amazing with trainers - I BET! So, throwing my opinion into the mix, and being totally honest I'd say they look to big and too short and because of this they look a bit mumsy boot cut rather than an uber cool flare! I agree with the others that if you had a pair which are a bit tighter on the thigh, were an inch or so longer and changed the shoe you might be onto a winner? I felt totally mumsy in them! They were floor sweeping long - I'm not sure it shows here? Either way, I'm sticking to what I know and flares aint it!